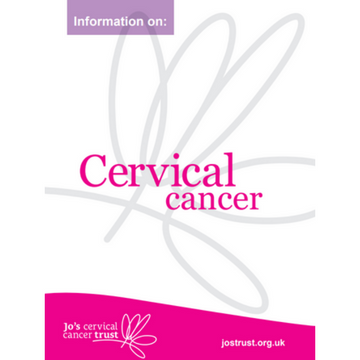 This A5 booklet is about cervical cancer. It explains the different types of cervical cancer, causes, symptoms to look out for, and how it is treated. Last reviewed Jun 2015. Next review Jun 2018. This booklet is available to download as a PDF or order a copy.